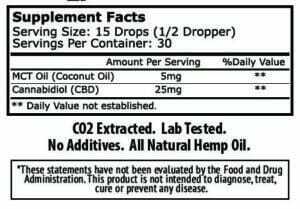 0.5 FL OZ (15mL) of our pure CBD hemp oil contains 750 mg of CBD. It has really helped my depression and anxiety. I will continue using it. I really liked the isolate it is flavorless which makes consumption easier. Will never be without my thoughtcloud ~ I feel like myself again! Thank you!! Definitely recommend thought cloud they answer any questions and their delivery is very fast! Iv been using 750mg of the isolate witch they recommend to me over the broad spectrum one, and I do feel a difference in my over all sense of calm and anxiety. It’s only been about a month of using now, but I’m thinking of stepping up my Mg, and see if it makes even more of a difference. Overall recommended!!! I’ve suffered from anxiety and depression my entire life. I was extremely skeptical about this product, but when you’re suffering as much as I was, you’ll try anything. I’m so glad I did! Holy cow. I started taking CBD Isolate in November and I haven’t had one panic attack since I started taking it – and believe me, I tried! LOL If you have a panic disorder, you know how easily a couple of simple thoughts can send you in a complete spiral. Like a previous reviewer said, somehow, it just doesn’t let you “go there”. This stuff is an absolute miracle for me.